Tea lovers, we haven’t forgotten about you. West Virginia’s tea houses and shops will please just about any palate with their incredible range of international and local flavors. Craving something with bold flavor and plenty of caffeine? How about fruity and herbal? Whatever your favorite is, you’ll find a great selection at any of these wonderful shops. Bringing together classy and quirky, the Tea Shoppe offers the best of both worlds. From Old World traditions like afternoon tea, scones, tiny sandwiches, and sweets to take home favorites that will help you enjoy your favorite tea in the comfort of your own home, the Tea Shoppe has over 150 teas, tea ware, and other accessories. Available for private parties and other events, it’s open every day. Hinton, West Virginia may be an unlikely place to find a tea room, but if you’re looking for a quaint place to slip away on a Saturday morning and enjoy a freshly baked treat and a great cup of tea, this is the place. Lunch is served daily, too, with warm homemade soups on a cold day. Perfect time for tea. The Eckhart House is a lovely Victorian house located in a very historic district of Wheeling, known for being a charming and comfortable place for afternoon tea, birthday parties and other special events for groups up to 26 people. There’s a gift shop inside where you can purchase your favorite tea, scone mixes, and other tea-related items. The house is open for tours and is part of the Historic Walking Tour of the city. If you want a fun-filled diversion, you have to put the Chocolate Moose on your to-visit list. Not only is this place a great stop for all things coffee and tea-related, they have an 18-hole miniature golf course and climbing gym. 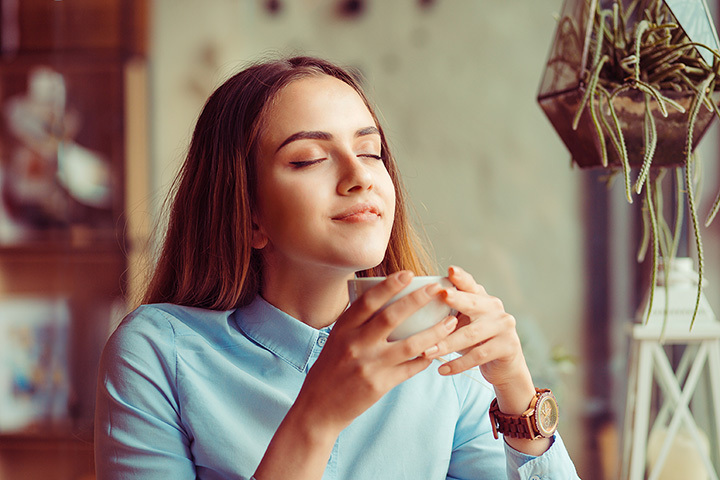 If you’re a coffee lover, you’ll really enjoy the fresh roasted coffees, and if you’re into tea, they offer delicious bubble tea and chai tea. Sister’s Café is a comfortable place to sit back, relax, and enjoy a great meal with your favorite hot beverage. Like the coffee houses of the 1960s and 70s, Sisters has great coffee, latte, and tea. A hidden gem for breakfast, lunch, dinner, or just to catch up with friends, the atmosphere is inviting, clean, and friendly. Sit back and relax by yourself or with friends at the Countryside Inn & Tea Room. Located in Burlington, this brick farmhouse built in the mid-1800s is the perfect place to enjoy an endless variety of teas, sweet and savory treats, salads, and soups. Reservations are highly encouraged because of its popularity, but private events can be scheduled. There are also monthly events open to the public. Check the website or Facebook page for more information. This quirky little shop located in Shepherdstown is a welcoming place, even for your four-footed friends. With a healthy respect for coffee and tea, you’ll find this community gathering spot a funky and cool collection of art, design, creativity, and friends. Using fair trade and organic options, you can get a seriously good cup of chai tea here. The coffee is delicious too. Each represents traditional flavors and contemporary vision. What else do you need? Personal and inviting, the Old Village Roaster is anything but ordinary. You can pick the best in coffees, tea, spices, and other unusual gifts from a very well-chosen selection of items in the shop. You can never tell what you’re going to find there--Sweet Oregano Fettucine noodles, turnip greens, the perfect blend of coffee beans, teas, flavored popcorn, and chocolate. Come often. You don’t have to be Irish to appreciate the delicious flavor of Irish Breakfast Blend, a strong black tea that goes perfect with a little milk or Irish cream. If black tea doesn’t suit you, try something else, like the fruit blends, green tea, white tea, herbal tea, oolong tea, or Pu’erh tea. All are available in regular or decaf. Did you know you can cook with tea for a sweet, smoky, or herbal flavor to your roast? You’ll be amazed what you can learn at this international tea shop.